We started in 1981 at the time as farm producers. For over thirty years we produce cheese, but we decided to talk about really, only now. By creating the brand “The Revaliere”, we wish to highlight all of our products and an unchanged know-how. We have at heart to meet the true tradition of goat cheeses from raw milk. The house lactic ferments bring all their character to our cheeses and give at our products this particular identity that makes the richness of our range. With this new identity, our products are easily recognized by consumers and spread the values of a product that proudly claims its land: La Gâtine. It’s with her team of 6 people that the cheese factory transforms the raw milk, daily collected from three selected farms in a range of products and varied shapes. 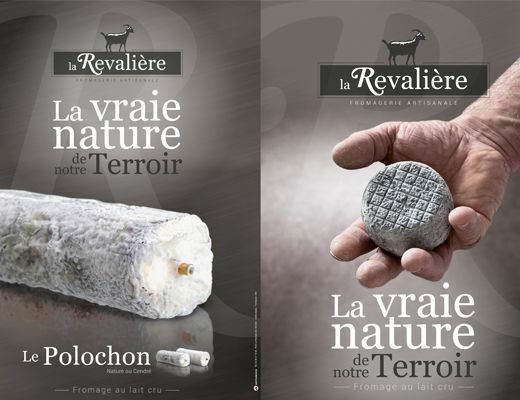 The Parthenay, the Pictou, the Polochon, the Cabris, the Lingot, the Chabis and lately, the Coquillon, nature or ashen, an entire variation of flavors and fragrances that are subtly crafted that make the range “The Revaliere” a reference brand of choice for lovers of great cheeses.